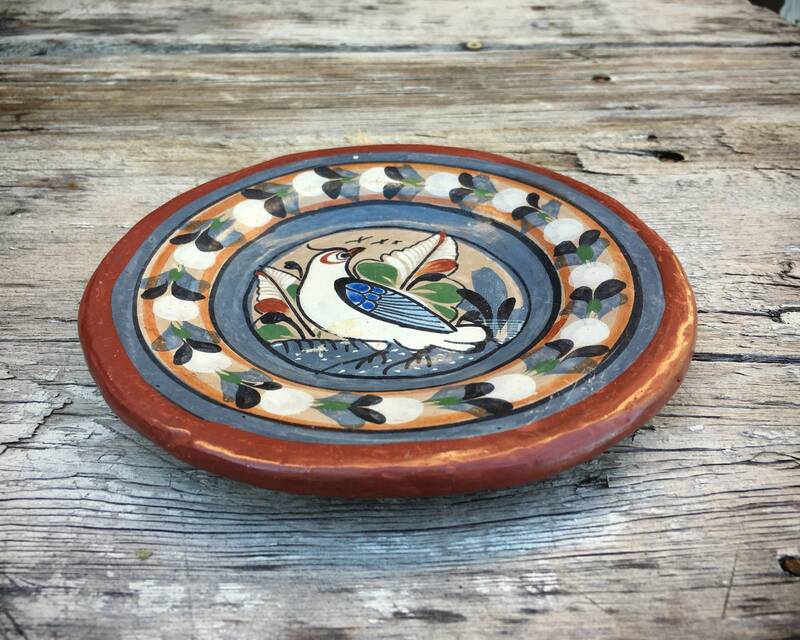 This lovely small plate is from Tonala, Mexico, with a quail bird on a road, leaves in the background and birds flying overhead. 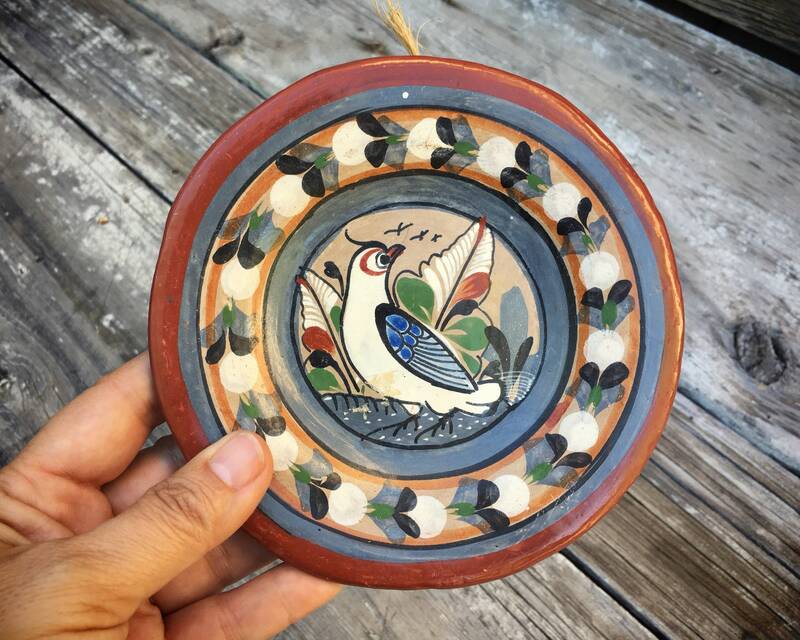 I love that on this small "canvas," the artist can paint such a whole scene, bordered by the traditional gray and rusty brown colors common to Tonala pottery, and a border of repeating flowers as well. 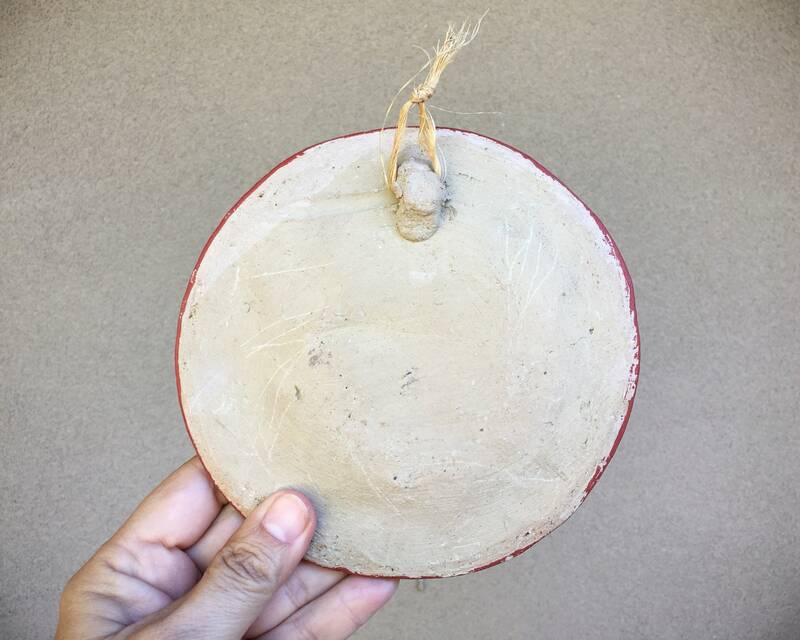 The plate is for hanging, and never was intended as dinnerware as it's formed with a clay hole on the back and twine. 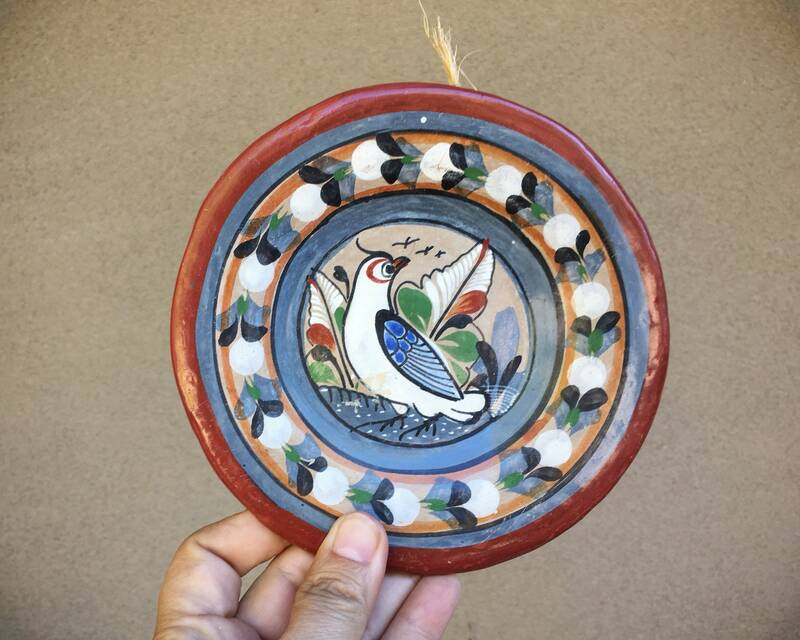 Plate measures 6" in diameter and 1/2" tall. Completely hand formed, and as a result is somewhat wavy, which is definitely part of the charm. 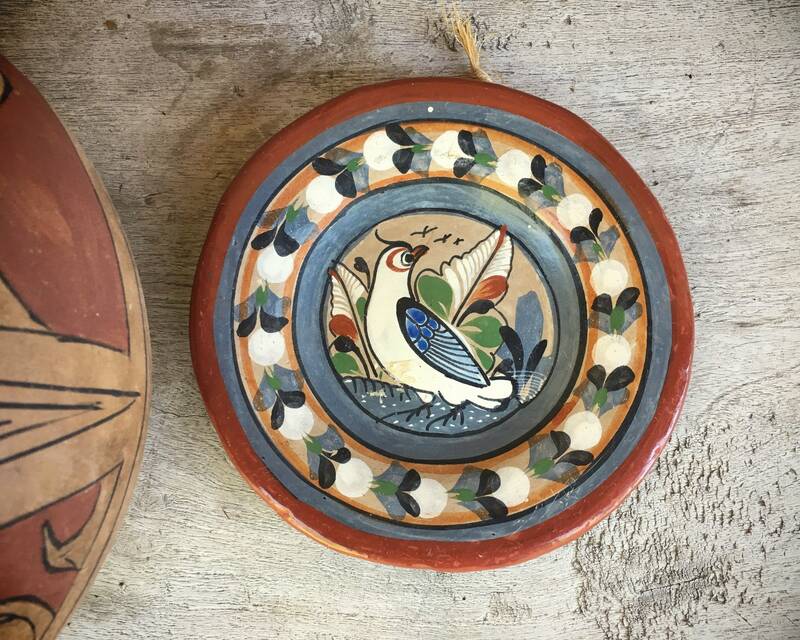 Some small areas where the paint has rubbed or scratched off but in solid and good vintage condition with no cracks or major chips. 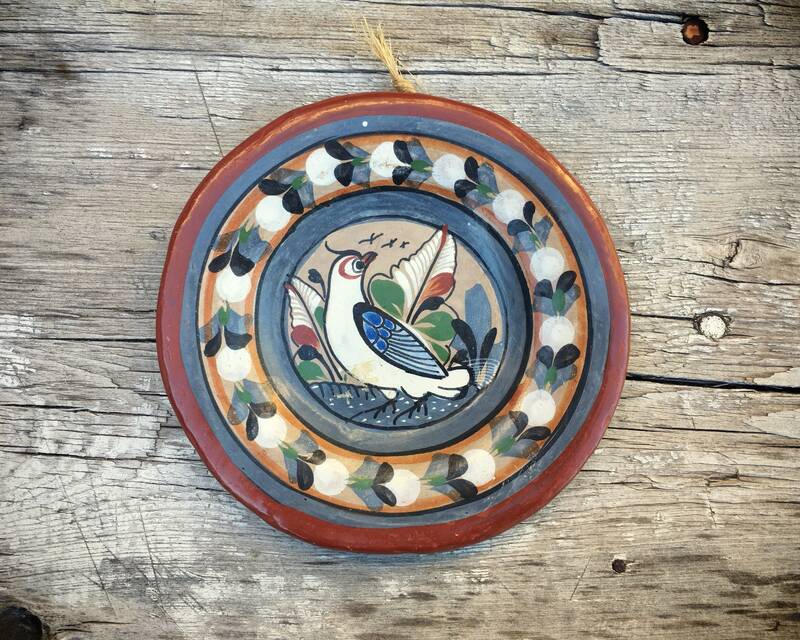 A small piece of art to display!